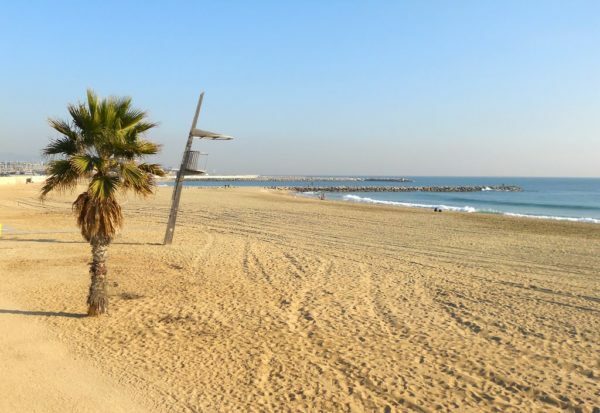 Barcelona, the Catalonian capital city, has some of the most luscious stretches of sand in the whole of Spain, especially in the area surrounding the pristine Olympic Village. The area is a definite attraction for a large number of travelers and Barcelonans alike. The sand and sea have been maintained extremely well, and daily testing of the sand and sea is done to ensure cleanliness. 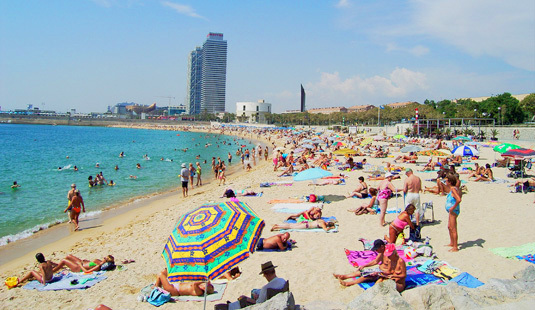 Barcelona beaches have some world class amenities, and all of them are enabled for physically challenged persons and have in season life guard services, sun sofas and shower facilities. Nova Icaria is the beach that is located nearest to the Olympic marina, and hence is busy at most times of the day. The promenade here extends right upto the Barceloneta district. The esplanade next to the beach is a good place to just sit looking at the beautiful landscape. Nova Icaria is frequented by a lot of families. There are also quite a large number of restaurants and bars lining the beach, including the trendy Mango and Chiringuito de Moncho. There are also three beautiful beach bars. 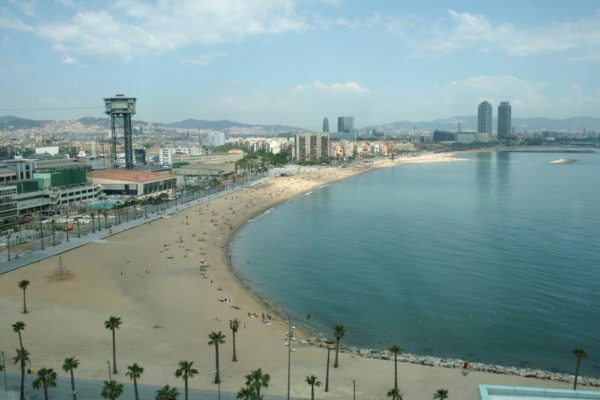 Nova Icaria is one of the best visited of Barcelona beaches. Almost twice as long as the nearby Nova Icaria, Bogatell has a stone pathway in the side that is ideal for joggers, rollerbladers and cyclists. The elevated promenade, which goes on till San Sebastia Beach in Barceloneta, eradicates the traffic commotion and noise and makes you feel a world apart from the city hustle. There is a lifeguard service, showers, ramps, bars, restaurants, parking space and many more facilities. There are also some restaurants here. This is the only beach in Barcelona which has a nudist area designated, and this is secluded behind a mound of bamboo. Also there is a center where you can hire gear for a whole range of water sports like wind surfing, kayaking and skiing. There is also a secluded park which is a pretty location with some nice shade trees. Quite long and wide, the Barceloneta beach extends through the whole promenade till the prestigious shipping town of Barceloneta. There are excellent services that are common to town beaches. Barceloneta beach comprises two beaches located at either end, Paseo Maritimo nearest the Olympic port and the San Sebastia Beach near the Puerto de Barcelona. Visited by a lot of foreign tourists, the beach has a good number of facilities, especially the lifeguard patrols. 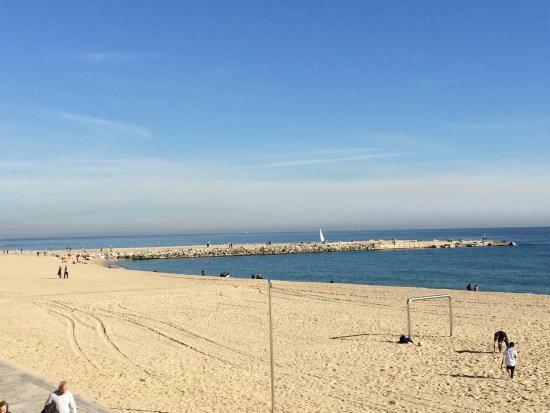 Barceloneta can hold its own among the Barcelona beaches.